Nelson Humboldt is a visiting adjunct English lecturer at prestigious Midwest University, until he is unceremoniously fired one autumn morning. Minutes after the axe falls, his right index finger is severed in a freak accident. Doctors manage to reattach the finger, but when the bandages come off, Nelson realizes that he has acquired a strange power—he can force his will onto others with a touch of his finger. And so he obtains an extension on the lease of his university-owned townhouse and picks up two sections of freshman composition, saving his career from utter ruin. But soon these victories seem inconsequential, and Nelson's finger burns for even greater glory. Now the Midas of academia wonders if he can attain what every struggling assistant professor and visiting lecturer covets—tenure. The Lecturer's Tale is a pitch-perfect blend of satire and horror. 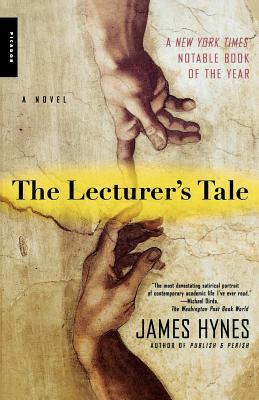 James Hynes is the author of the novels The Lecturer's Tale and Wild Colonial Boy, as well as the stories Publish & Perish (all New York Times Notable Books of the Year). He lives in Austin, Texas.